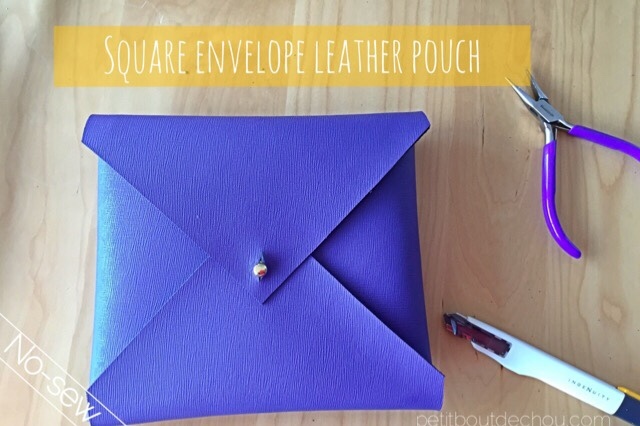 A very simple no-sew leather pouch DIY: make your own square envelope leather pouch. After my chevron zipper leather pouch DIY, I wanted to try an easier method to make pouches using a thicker type of leather. Please follow these simple steps and enjoy! 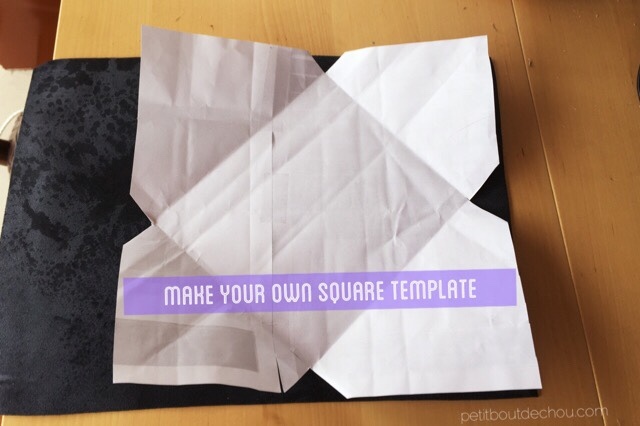 Prepare a template by cutting a square and folding the corners together. This way, you will define 4 triangles to be cut out. You can also download my free pattern here! Trace the contour of your template with a soft-lead pencil on the back of your leather piece. Using your cutter and cutting mat, cut following the contour. 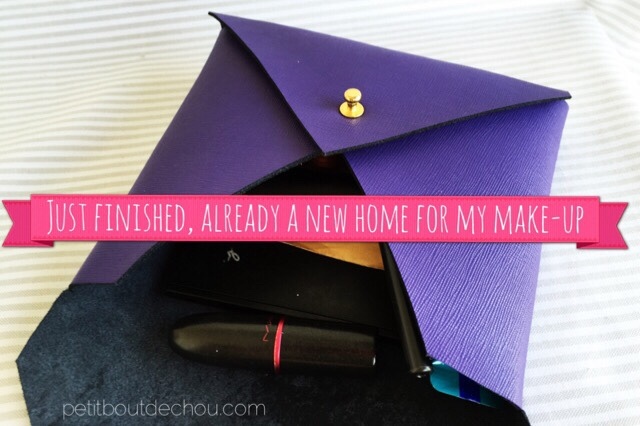 I found this nice purple piece of leather in a Sham Shui Po shop called Sun Cheong Leather, 160 Ki Lung Street. They sell some beautiful rectangles of leather. 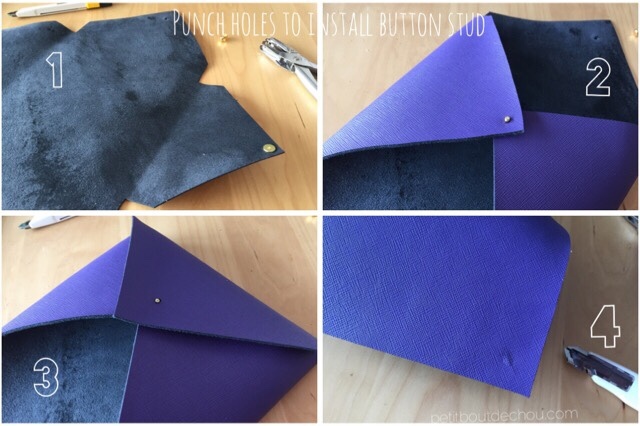 Make holes in the tips of the 2 side triangles + the bottom one using your punch hole. Insert the threaded part of the stud and screw the top part. 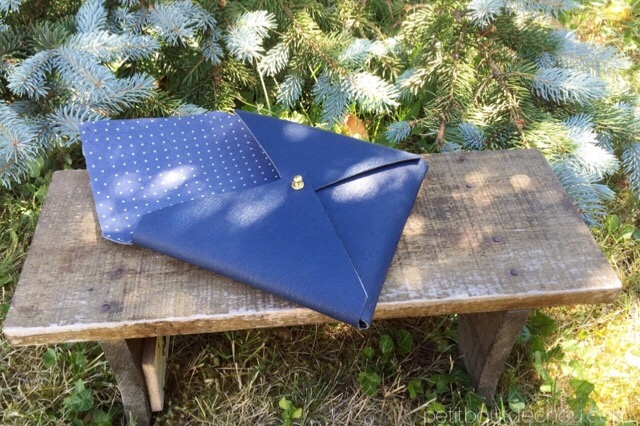 Make a small cut at the tip of the top flap long enough to insert and block the stud button. You’re done! You can also trim a little bit the corners as you like them. Please share your pictures and comments below. I am adding below a new pouch I have just done for a friend with a nice dotted fabric lining I found in Log On.